I find cooking to be very relaxing and meditative. When it comes to dinner time, I turn on some music and get to prepping. 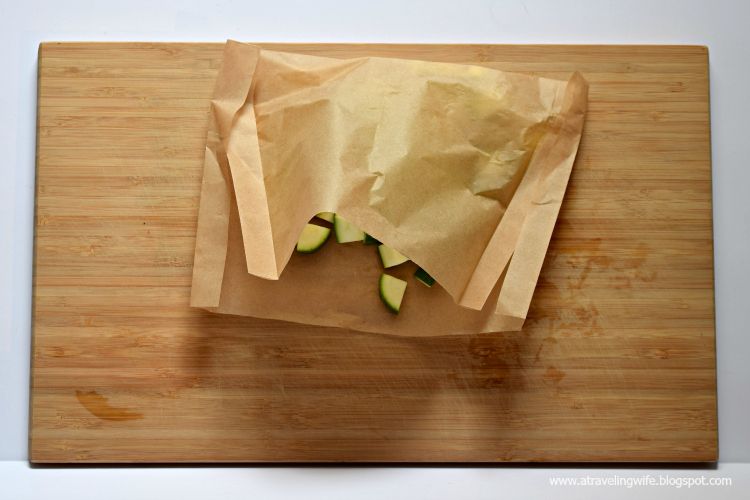 Chopping the veggies, measuring ingredients, seasoning protein - I get lost in the motions and forget about the day. But not all days allow for hours in the kitchen to cook up some tasty grub. In fact, most days are filled with work, errands, and other items that just NEED to get done. I'm lucky if we eat anything other than leftovers during the week. 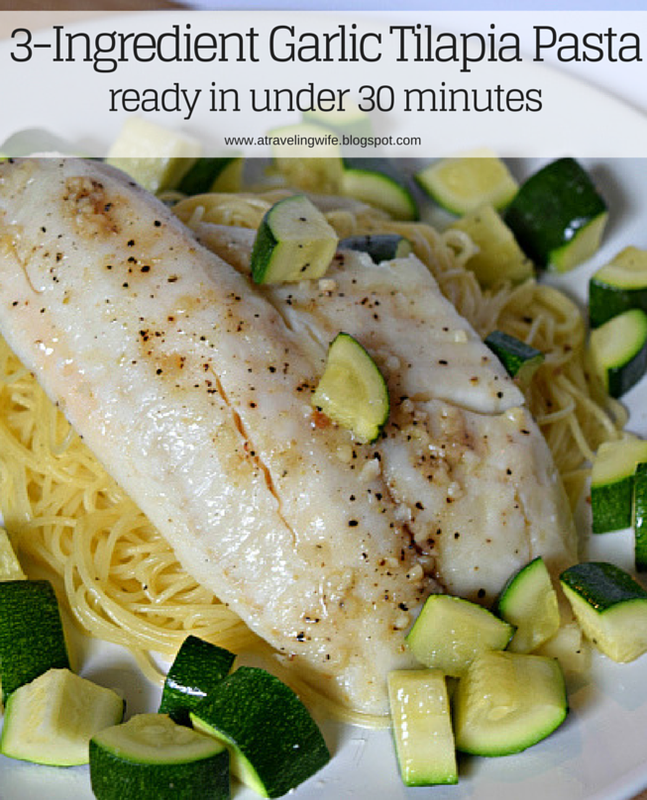 Click to tweet: I need to try this 3-ingredient meal, ready in under 30 minutes. 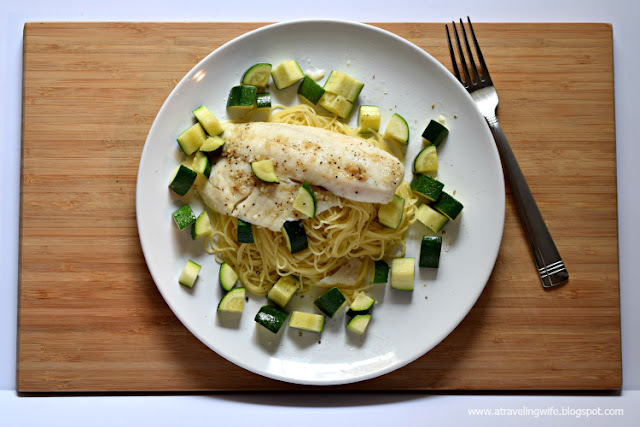 If you can relate with any of this, then I am here to save you with a simple and delicious dinner that you can have ready in under 30 minutes - Garlic Tilapia Pasta. 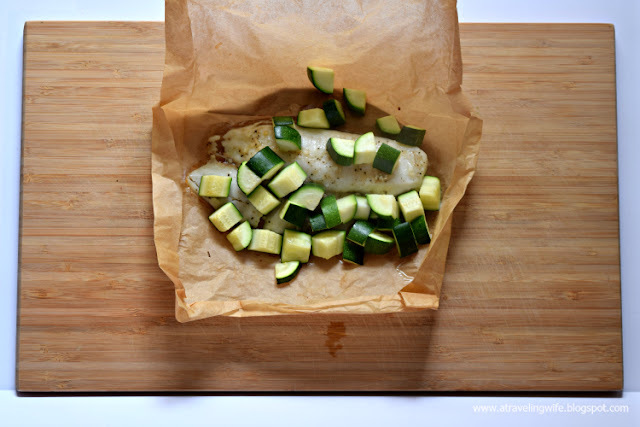 This recipe only requires one fresh veggie, a pantry staple, and Bumble Bee SuperFresh® Tilapia with Garlic and Extra Virgin Olive Oil, which you can keep stocked in your freezer. Wait, did you say that you don't like cooking fish because of the fishy smell? 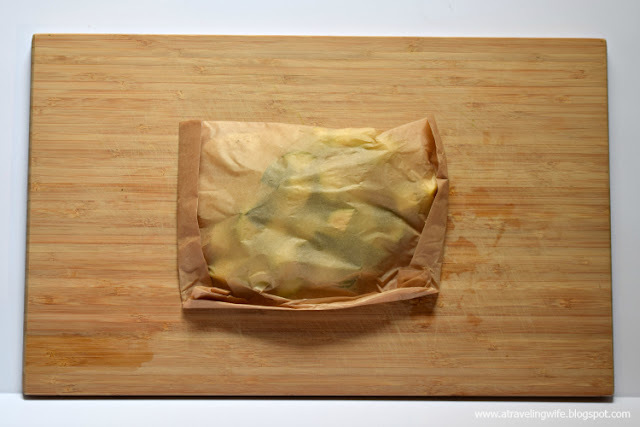 Lucky for you, Bumble Bee SuperFresh® goes straight from the freezer to oven, so you avoid any smell from thawing. Also with Bumble Bee SuperFresh®, their fish is frozen right after harvesting which means it is fresh tasting and fresh smelling. Click to tweet: Cooking fish doesn't have to smell fishy. Bumble Bee SuperFresh® prides themselves with their no mess, no fuss - just pure perfection products. 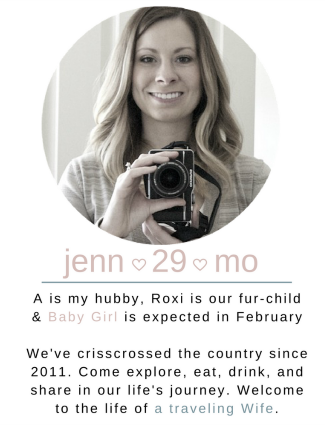 I wanted to stick with this motto and created a 3-ingredient dish that is simple yet satisfying. 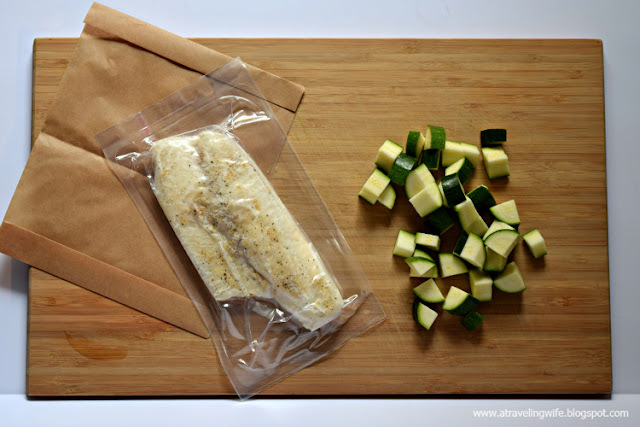 The Tilapia comes with its own parchment paper baking pouch and I utilized this for both the Tilapia and the zucchini - cooking two items together makes clean up so much easier. I followed the directions on the back of the packaging for baking and preheated my oven to 400 degrees F. Then I chopped up my zucchini and placed both the Tilapia and zucchini in the baking pouch. Everything fit all snug inside and I folded the edges in. This was then placed on a baking tray with the folds on the bottom and placed in the oven for 17-20 minutes (note: the packaging states 17 minutes for baking, but I noticed I needed longer with the added ingredients). 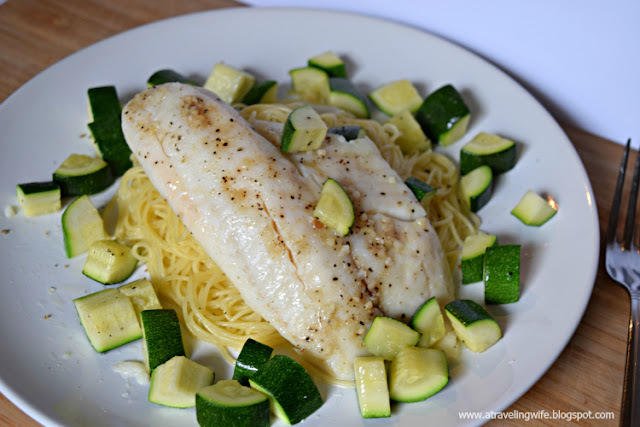 While the Tilapia and zucchini were baking, I started boiling a pot of water and cooked my angel hair pasta according to the package. Once the pasta is al dente, I drained the water and tossed with some extra virgin olive oil. This will be the sauce and also help prevent the pasta from sticking to each other. Now that 20 minutes have passed, it's time to plate the meal. 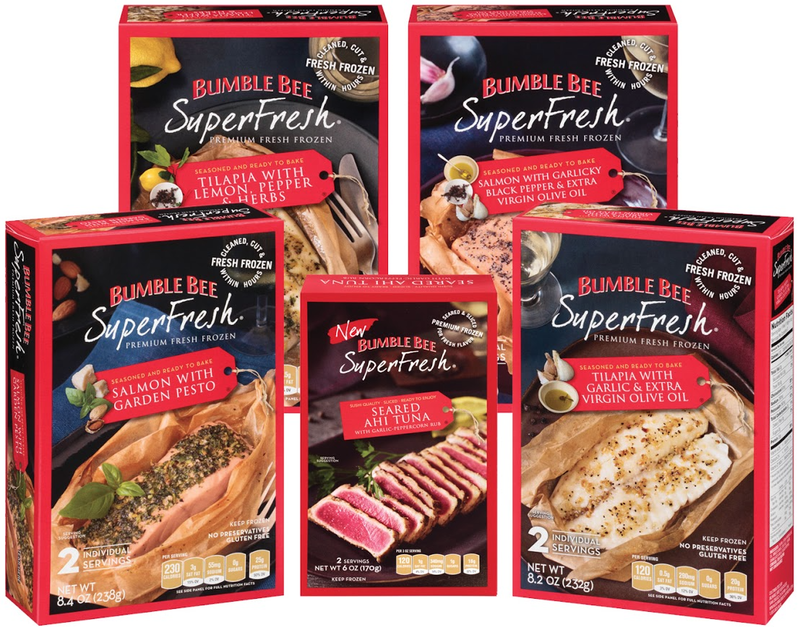 The Bumble Bee SuperFresh® Tilapia is high in protein and is richly seasoned with pure and simple ingredients - ground black pepper, fresh garlic, sea salt and extra olive oil. All the plate needs is a little salt and pepper to taste, because I am a big fan of seasoning each layer, including the finished product. - Plate meal and enjoy! Do you like cooking, or do you find it daunting? 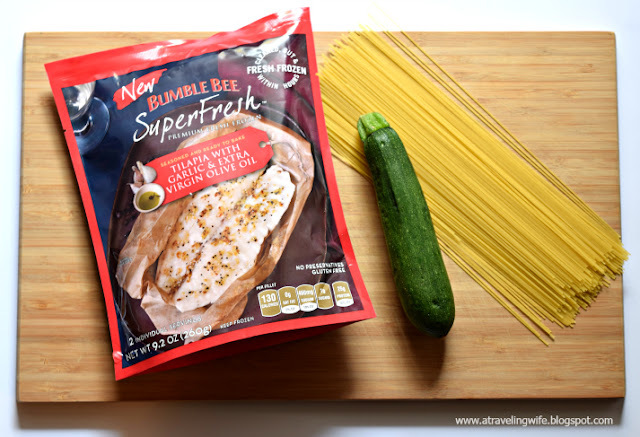 Visit the Bumble Bee SuperFresh® website for a coupon so you can try these delicious products for yourself.